Kansai region, the host of the Rugby World Cup 2019 and the World Expo 2025, is participating in the Los Angeles Travel and Adventure Show to share the latest information about the region. LOS ANGELES, CA, February 12, 2019 /24-7PressRelease/ — “Kansai” refers to a generic name for a wide area in western Japan comprising of 10 prefectures ― Fukui, Shiga, Kyoto, Mie, Nara, Osaka, Wakayama, Hyogo, Tottori and Tokushima. Located just few hours away from famous Kyoto, Osaka and Nara, there are many exciting places to visit on an overnight trip in Kansai such as the Kinosaki area and the Kumano Kodo (see below). Kansai region is a melting pot of amazing culture, history, food, unique experiences and much more! 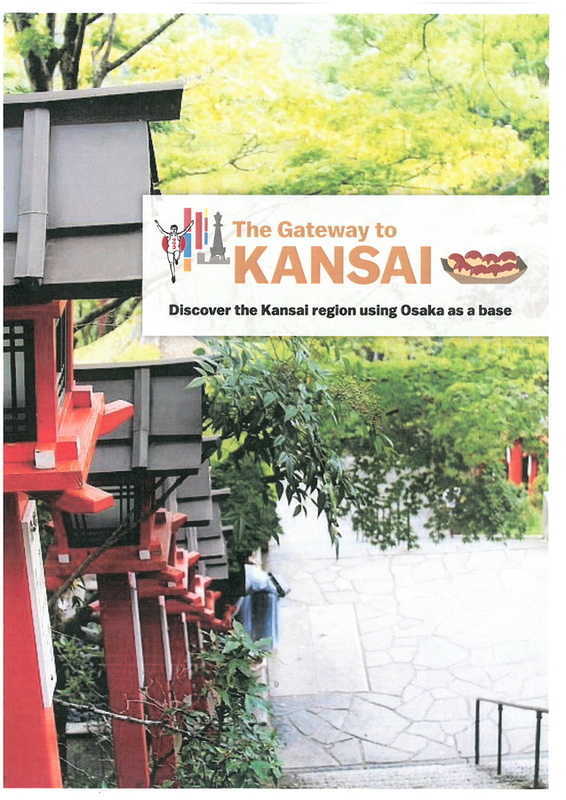 Come and visit the Kansai booth on February 16th and 17th to learn more about the area. As you stop by the booth, try some sweets from Kansai and join the lucky draw to win some surprising gifts. Kinosaki area is a famous hot spring destination located three hours away from Osaka or Kyoto by train. Its popularity has increased amongst the European and American tourists, who are seeking relaxation as well as an authentic Japanese cultural experience. Besides hot spring hotels, there are seven public bathhouses situated around Kinosaki available for a day-tripper. Enjoy taking a walk in downtown Kinosaki wearing your favorite Yukata. Kumano Kodo Pilgrimage Routes is a UNESCO World Heritage Site located in the deep mountains of Wakayama Prefecture. Just over two hours away from Osaka by train, tourists can take a 3-day tour to go around three sacred shrines while walking along the ancient road from Kii-tanabe to Nakahechi. It is a perfect hiking trail for nature and history lovers. Japan will host its first ever G20 Summit in Osaka on the 28th and 29th of June 2019. In 2019, The Rugby World Cup will be held between late September and early November. (The United States will be playing against Tonga on October 13th in Osaka.) In 2025, World Expo will be hosted in Osaka, Kansai. Ancient cities like Kyoto and Nara as well as port city of Kobe is located within 30 minutes from Osaka connected by different railway lines (Hankyu, Keihan Electric Railway, Kintetsu, Hanshin Electric Railway and JR). Also, Kansai International Airport and Wakayama Prefecture is accessible by Nankai Electric Railway or JR and it takes only about 60 minutes from Osaka. “OSAKA AMAZING PASS” which offers unlimited bus and train ride, free entrance for 35 sightseeing spots, and benefits at 25 facilities and 73 shops around Osaka is available at Kansai International Airport and any terminal stations in Osaka for individual travelers. Kansai Tourism Bureau is a wide area DMO organized by local government and economic associations aiming to promote inbound tourism within Kansai region. Osaka Convention & Tourism Bureau has been promoting the charm of the international touristic city “OSAKA” under the slogan “DOWNTOWN　OF　JAPAN” which represents the energy, the history and culture of Osaka.